A rare chance to see the English-language version of the spectacular live-action 1961 Tintin movie happens in March at London's National Film Theatre. 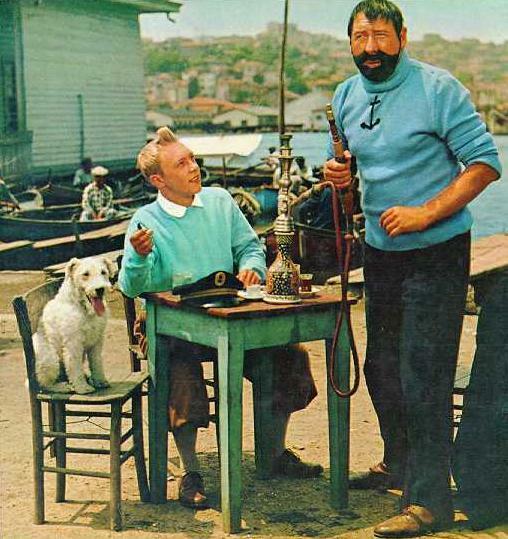 To launch The Flipside, a showcase of 'unlikely' cinema and associated short films and extras, there will be a 'Great Snakes Snowy, It's Tintin Night' at the NFT on March 5th at 6.30pm. 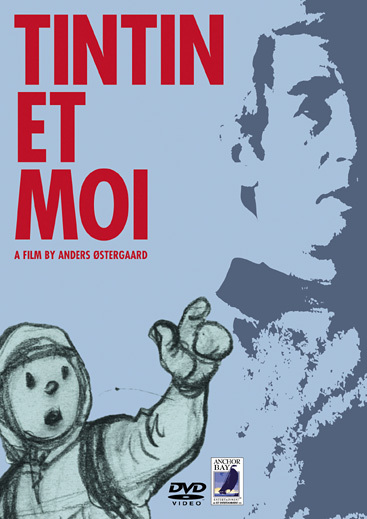 Included in the programme are rare short documentaries about Tintin's creator Herge, but the jewel of the evening is a screening of Tintin and the Golden Treasure, the English release title of Tintin et le Mystere de la Toison D'Or. I reviewed both Tintin movies (link here) when they were released on French DVD last year, but crucially without any subtitles. Golden Treasure must have been the version that I remembered seeing in English on British TV back in the 1970's. In other news, BBC4 broadcast the excellent "Tintin and Me" (2003), an in-depth documentary about Tintin's Belgian creator Herge, based on a lengthy (taped) interview from 1971. Directed by Danish director Anders Ostergaard, the revelations about the creation of some of Tintin's original adventures are surprisingly controversial, written as they were during WW2 in Nazi-occupied Belgium. The film-maker also unearthed rare interview footage and photographs and added new depth to some of the Tintin books' most famous illustrations, using computer animation. For adult Tintin fans, this is a fascinating look at the character's roots and the life of his creator. As the conversation continues, the usually reserved and publicity-shy Herge opens up, as the interviewer increasingly feels he is being used as an analyst or a confessional. The BBC broadcast version was under an hour, but the full-length film is available on DVD from Anchor Bay UK, though I had no luck finding it on Amazon's websites.